Get the scoop on zombies and witches, aliens and haunted places in Ohio. Learn about the origins of Halloween and why everyone loves horror movies. See what creepy courses you can take next semester. From all of us here in the Arts and Sciences, we wish you a spook-tacular Halloween! Beware ... and read on if you dare! Did Ohio State detect an alien signal? The Wow! signal was detected by Ohio State’s Radio Observatory (known as the “Big Ear” telescope), which surveyed the sky between 1973-95 for alien radio signals. The 22-year search is the longest-running Search for Extraterrestrial Intelligence (SETI) project in history. 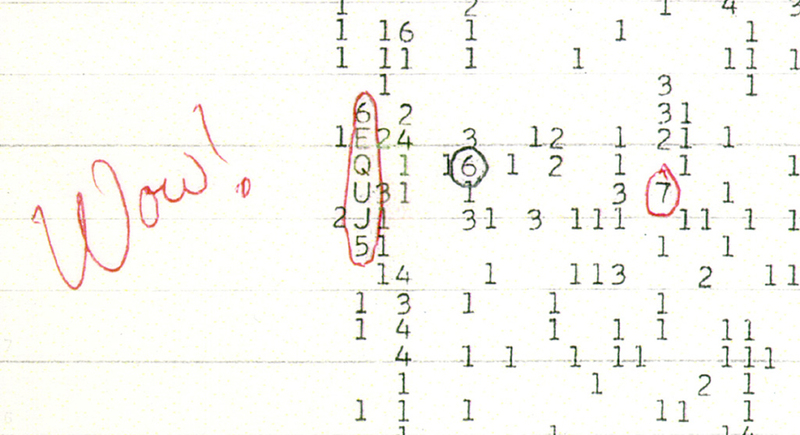 On Aug. 15, 1977, the Big Ear picked up an inexplicably mysterious signal originating near the Sagittarius constellation. Volunteer astronomer Jerry Ehman, surprised by the numbers he saw on a computer readout detailing the intensity of the signal, wrote “Wow!” next to the finding, coining its name. To this day, the Wow! signal remains the strongest candidate for an alien radio transmission ever detected. Joe Neff (BA, 2000, English literature and cinema studies) is the special events coordinator at the Drexel Theatre in Bexley, Ohio, and special events supervisor at the Wexner Center for the Arts. He also directs “Shock Around the Clock,” an annual 24-hour horror movie marathon held at the Drexel. What elements make up a good horror movie? It starts with, “Where are you?” Are you tapping into something in the culture, something that either stirs some kind of fright or anxiety or fear in people? Because what scares people today is so vastly different from what scared people 80 years ago.I think some of the best horror films of all time have a real defined sense of style to them. You go back to Bride of Frankenstein —that’s a film that’s so wonderfully shot and has tremendous production, set and costume design, and it all goes into building that world that you’re getting into —making it a believable world. When you create that immersive world, if you draw the audience in, they’re more susceptible to being scared. Who are some of the most iconic villains throughout the horror genre and why? You go back to the monsters that Universal Films made with Dracula, Frankenstein’s monster and the Mummy. I think those still have some kind of resonance because they’re folktales; they’ve been passed down generation to generation, and they represent things that every generation has a kind of fear of. Modern-day ones that people go back to again and again are the slasher antihero/villains: Jason Voorhees, Michael Myers, Freddy Krueger. Michael Myers, with the new Halloween movie coming out, it’s proof that he remains iconic. The core of the Michael Myers character is that he’s a total blank. He’s potentially just completely evil and you cannot reason with it. And that’s probably one of the most frightening things you could deal with in life is having something so evil where there’s no explanation, there’s no reasoning and there’s no redemption. It’s just a relentless force for evil. Why do audiences like the horror genre so much? Because it’s so fun. It’s cliched in a way, but I think it’s true that everybody knows death is coming eventually. And horror gives you the opportunity to dance around that in a safe way and to come to terms with those elements of death and those elements of things that are uncomfortable. What are some of your favorite horror movies and why? One of my favorite films of all time is the original Dawn of the Dead from 1978. It was the first horror film I saw that could be frightening and funny and have a deep sense of social commentary. All those things put together have left a lasting effect. The original Suspiria that came out in 1977 is about as close to a full-on nightmare I think as ever been captured on film. The original Bride of Frankenstein is to me one of the perfect films in cinema — combining horror and humor and a really great story. There’s also a film kind of off the beaten path called The Strange Color of Your Body’s Tears. It’s a riff on Italian horror films, and it’s almost like an experimental work. It’s a deep dive into the subconscious. It’s really chilling and disturbing because it’s not just alluding to some of those submerged fears and anxieties people have; it’s fully diving into them and having you just bathe in them essentially for two hours. Really effective work. Zombies are everywhere these days — in movies and books; on stage and television. They lurk in the shadows waiting patiently to pounce and feed on brains. Undead and not quite living, where do zombies come from and why are they here? Anthropology professor Jeff Cohen answers some of our burning questions about the undead. Why do we have zombies? Humans tends to organize their world into two important categories: the living (or animate) and the dead (the inanimate). Zombies straddle these categories. Described as the living dead—not fully a part of our animate world and not completely divorced from it; zombies exist on the line that divides what is normal and expected and what is not. Zombies help us to think about and confront death. Our triumph over zombies becomes a triumph over death. Through their destruction, death is vanquished. Zombies are part of Haitian history and develop from beliefs that surround death and sorcery. Researchers looking for the origins of zombies outside of Haiti argue it is rooted in the otherworldly creator deity Nzambi a Mpungu of the Loango, a Kikongo group living in central Africa. There is also a strong connection to West and South African cultural traditions that included zombie-like creatures such as the xidachane (Sotho/Tsonga) and maduxwane(Venda). The dead and sometimes the living were thought to be a risk of zombification and enslavement through the actions of a powerful sorcerer, witch or even a child. The resulting possession could be broken by a sagoma (shaman) whose healing powers drew from their ability to manipulate the spirit world and heal the afflicted. When did zombie myths come to the U.S.? Zombies arrived in North America as U.S. soldiers returned from the military’s occupation of Haiti that began in 1915. The movie White Zombies was the first to introduce the zombie to American audiences. The film received mixed reviews, and was not popular. Nevertheless, the combination of Haitian zombies, tragic love, and gothic motifs remain embedded in our ideas of the zombie to the present. By the 1960s, the American zombie had been transformed to better reflect demand. Perhaps the most famous and well known of all representations of zombies came in 1968 with George Romero’s film, Night of the Living Dead. Romero opted to call his revenants “ghouls” rather than zombies and really didn’t know what the term meant. And while the film was poorly reviewed, its cult like success and subsequent films fostered the growth of the genre that we know in the present. How did these early representations produce the “modern day zombie”? Haitians pity zombies and fear the zombie master. With Night of the Living Dead, the zombie was reintroduced as a monster and came to represent many of the fears, anxieties, and apprehensions that North Americans held in the late 1960s as the Cold War raged. Today, the zombie has grown ever more dangerous as society’s fear of death, disease, science, the stranger and technology grow. Recent films like World War Z and novels including Zone One confront these fears and question our strengths as well as the ability to defend ourselves. Merrill Kaplan, associate professor, Folklore and Scandinavian Studies in the Departments of English and Germanic Languages and Literatures, gives us some insight into the origins of Halloween and explains some similarities and differences between the spooky holiday of the past and today's trick-or-treat fest. What can you tell us about the origins of Halloween? The story of Halloween goes back a long way. November 1 was Samhain, the first day of winter, used in Ireland and other places where people spoke Celtic languages. Irish sagas depict a legendary world in which major events both mundane and magical seem to hinge on this special day on the calendar. As Christianity spread during the Middle Ages, All Saints’ Day was made to overlap with Samhain. All Saints’ was also called All Hallows, and the word “Halloween” comes from All Hallows’ Eve. How do supernatural figures fit into the holiday? Days that are betwixt and between in the calendar, on the edge of this year and the next, can attract ideas about the supernatural being abroad. The door between this season and the next is open, as it were, and all kinds of things might come through. It looks like the idea that one might run into supernatural beings on the eve of November 1 is an old one. Combine that with customs of guising and mumming in which strangely-dressed people are out and about in the dark and you have the perfect setup for people having weird experiences that they might interpret in a variety of ways. Biggest differences/similarities between Halloween today and the old pagan holiday? Our calendar does not hinge on October 31 and November 1 in the way the archaic Celtic calendar seems to have. Modern Halloween is also primarily a children’s holiday, which is much different. The modern American holiday is not, for the majority culture, a holy day: it’s completely secular. That said, it seems there has always been an association between the eve of November 1 and the supernatural. If the dead don’t exactly walk, they are at least more relevant to the living, whether they be saints or sinners. If supernatural beings are not actually on the move, it’s still a spooky night, bare branches swaying, fallen leaves rustling, the dark coming on faster and faster. Sarah Johnston, Arts and Humanities Distinguished Professor of Religion in the Department of Classics, has taught classes on magic and witchcraft, focusing on its history and culture from medieval and early modern periods and its far-reaching impact on society. Her current research concentrates on Greek myth and the afterlife. What interests you about magic and witchcraft? What interests me is the persistence of the idea that humans can develop the power to affect the spiritual world, and the frequency with which humans suspect that those of other groups are witches. What is something that not many people know about witchcraft? Some people may not know that hundreds of thousands of people — mostly women — were actually executed during the European Middle Ages because they were suspected of being witches. What “spooky” things did you find while writing and researching for your books? In Greek culture, it was said that women who died before being married were believed to come back to earth as unhappy ghosts, and persecuted living women. In the Arts and Sciences, you have the opportunity to learn about monsters, supernatural creatures and anything else that goes bump in the night, from historical perspectives to popular culture. Check out these courses guaranteed to give you goosebumps! This course focuses on films that aggressively transform their literary sources, reinterpreting characters and retooling plots to create monsters that offer different visions of what we have to fear and of how we can (or cannot) overcome the monsters without and within. We will move from dragons and humanoids to vampires, zombies, ghosts, and psychopaths. Our sampling of classics old and new will include Frankenstein, Dr. Jekyll and Mr. Hyde, Dracula, I Am Legend, and The Shining. In this course, we'll start by reading ancient tales of ghosts and make our way forward to ghost stories and films from the 21st century, asking what makes all of them work — that is, why do they frighten us? And: has what frightens us always remained the same or does it change, depending on the society that invents a particular story? Students will understand how culture and social organization help us define the living, the dead and the undead in the contemporary and archaeological record, and how we create social categories that organize our world and our place. Changing approaches to evil as embodied in vampires in East European folk belief and European and American pop culture; function of vampire and monster tales in cultural context. Chris Woodyard (BA, medieval and renaissance studies, 1976) has made a living out of her fascination with the dead. Her love of history led her to Ohio State and eventually to a degree in medieval and renaissance studies. But after graduation, Woodyard found a lifelong career in writing. Once Woodyard completed her first book, a how-to guide for newly arrived families in Dayton titled “The Wright Stuff,” she asked her local librarians what she should work on next. Their immediate response? A book of Ohio ghost stories. Woodyard has since published seven volumes of Haunted Ohio, which collectively chronicle ghostly tales from each of Ohio’s 88 counties. She also recently published The Victorian Book of the Dead, a collection of death and mourning rituals from the 19th century. We sat down with Woodyard to learn how she turned her interest in “the darker side of life” into a career — and how Ohio State helped her get there. Haunted Ohio draws mostly from popular sources, and Woodyard bases her books on the accounts of the people who were there. When it came time to research and write The Victorian Book of the Dead, Woodyard said she took the same approach to ensure she didn’t get locked into only “official” sources. Although the books are based on first-hand accounts, they also required a great deal of academic research – a skill Woodyard learned at Ohio State. “Ohio State taught me how to do research and gave me the tools. It’s this idea of ‘Don’t stop here, go just this much further,” she explained. As of late, Woodyard is making an effort to return to her academic roots. Last March, she gave a presentation on 19th-century shroud-making to the Costume Society of America. According to Woodyard, there has been a resurgence in shroud-making, as well as the desire to make death more personal. As part of this movement, “death cafes” have sprung up around the world. These meetings, usually over coffee and cakes, offer individuals the chance to discuss their own thoughts and feelings surrounding the idea of death, as well as how they’d like their death to be. Woodyard herself spent a lot of time at funerals and viewings in her youth, and even gave a presentation on funeral directing for a high school project. She said she’s always been more fascinated by death than fearful of it – a mindset that set her up well for a career writing about the departed. “I’ve just always been interested in the darker side of life,” Woodyard said. A 500-year-old Austrian count recently took up residence at the Roy Bowen Theatre during his hunt for human flesh. The Department of Theatre's latest production starred fourth-year theatre major Dakota Drown as Michael von Siebenburg, the immortal count in question who survives the ages through cannibalism. 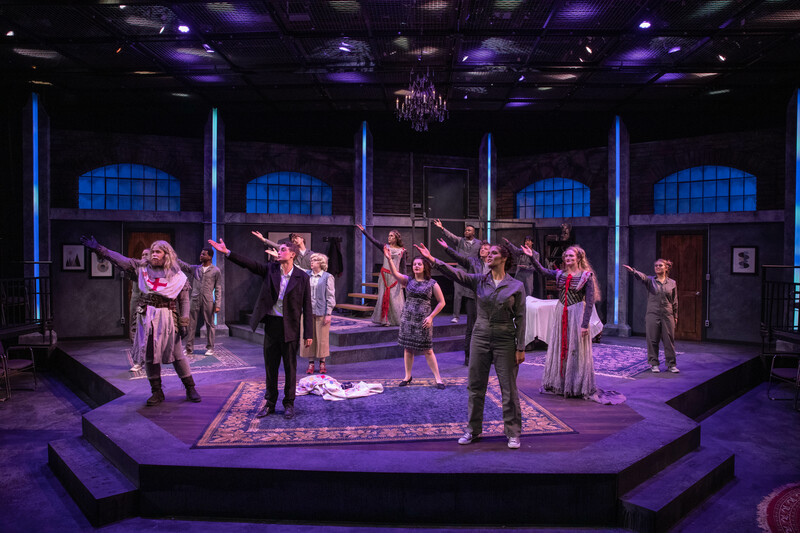 Directed by Jennifer Schlueter and Karie Miller, the dark comedy was a display of misogyny and monstrosity, peppered with pop culture references. 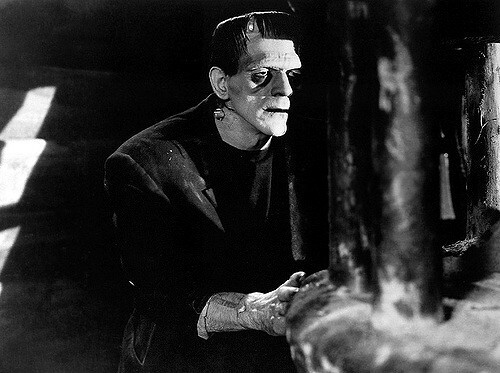 In 1818, Mary Shelley penned the novel Frankenstein, introducing the famous monster to the world. To celebrate the novel's 200th anniversary, the Department of English is holding a series of events that include a tour of the Frankenreads Exhibit in Thompson Library, a reading of Shelley's Frankenstein, and a roundtable discussion between faculty and graduate students centered on Frankenstein-related topics.